All animals, including horses, know how to communicate with humans using the universal language of telepathy. Unfortunately, the problem isn't with the animals communicating their needs to humans, it's whether the humans are listening to what animals have to say. I love it when scientific research studies validate and prove animals want to be heard and understood much like humans do. Even so, I don't need scientific proof to know that it makes animals happy when humans understand them at a spiritual level using telepathy. It's kind of silly to think that animals, including horses, aren't able to communicate with humans unless they use human constructed symbols and methods. A prime example of this is a recent scientific study by Norwegian researchers who taught 23 horses how to use three symbol boards that told the researchers whether the horses wanted their blankets on, blankets off, or wanted no change. Not surprisingly, all the horses in the study quickly learned what the three symbols boards meant and then gladly expressed their preferences. However, these horses didn't just learn to communicate with humans because Norwegian researchers came up with an experiment to prove a hypothesis. 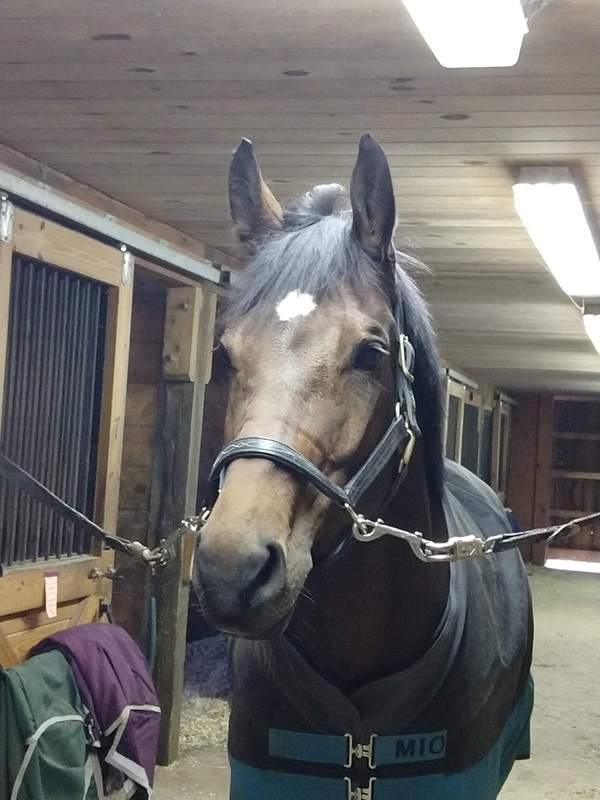 "When horses realized that they were able to communicate with the trainers, i.e. to signal their wishes regarding blanketing, many became very eager in the training or testing situation," the researchers write. "Some even tried to attract the attention of the trainers prior to the test situation, by vocalizing and running towards the trainers, and follow their movements." 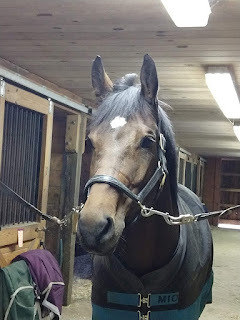 My client, Izzy the horse is an excellent example of how being heard, understood, and validated can make a big difference in our animals' lives as well as making them happy. Andrea initially contacted me to find out about Izzy's past, given Izzy was having a hard time adjusting to her new life. It was essential to Andrea that she help Izzy become the best horse Izzy could be. Once Andrea understood Izzy's past, I asked her to let go of thinking about it. By focusing on Izzy's history, Andrea unwittingly made Izzy relive her past trauma and pain. Instead, I encouraged Andrea to concentrate on visualizing Izzy in all her perfection and goodness as she moves forward. After your advice when we first talked, (about letting go of Izzy's past), I told Izzy's trainer, Hillary. I'm glad she's open to your advice as we've been working on visualizing Izzy being the horse we want her to be. It's so wonderful to hear that it's making a difference and that she feels that. Really great news about Izzy. In fact, since I've been back from my vacation, I have felt a huge shift in her and so has trainer. I'm thrilled to hear she feels more relaxed and balanced to you - very encouraging. She is getting to be the horse I knew was in there and it's lovely to see her be so happy. I realize she is on a healing path. When you understand animals' thoughts, feelings, and viewpoints, it's easier to feel connected to the animals along with our compassionate self. And it helps animals be the best they can be. Animals want and deserve to be heard and understood just like humans. The best way to do this is by rekindling your natural telepathic abilities so you can receive information directly from animals. If you need help, then reach out to a professional Animal Communicator like myself to help you interpret what is on your animal's mind and in their hearts. Your animal will thank you for listening.